While profiting from the development of tourism , Samoëns and its neighbouring villages have been careful to maintain their authenticity keeping a perfect balance between their superb Grand Massif ski area (265 km of pistes) and a friendly, lively village life to make it a delightful setting for your dream chalet or apartment. Samoëns : at the heart of the Giffre valley, this mountain commune is famous for its rich history and renowned for its sporting and cultural activities throughout the year. 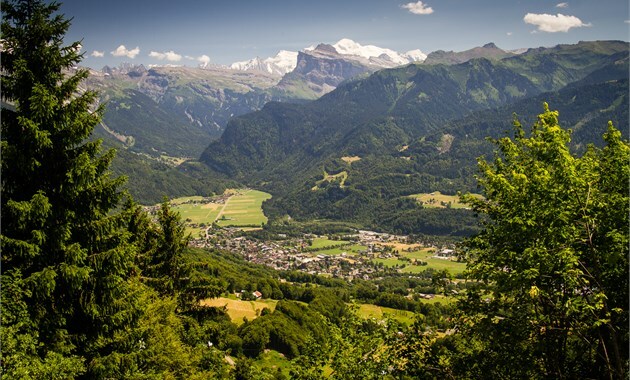 The jewel in the crown of the lovely Giffre valley, Samoëns is very popular, as much for the beauty of its surroundings as for its skiing, mountain walking, rafting, horse riding, climbing and many other outdoor activities coupled with its traditional flavour of French village life. Morillon : A small commune whose activities are centred on its pretty Lac Bleu and its fast ski lift from the village centre that links you with the Grand Massif pistes. Verchaix : Another nearby commune, on the sunny slopes of the Giffre valley with good access to the Grand Massif area. Sixt : Classified as one of the most charming villages in France, Sixt is famous for its superb nature reserve at the Cirque de Fer à Cheval. Its small ski area is linked to the Grand Massif by the remarkable Piste des Cascades.